Stainless Steel is one of the common materials used throughout the foodservice industry. 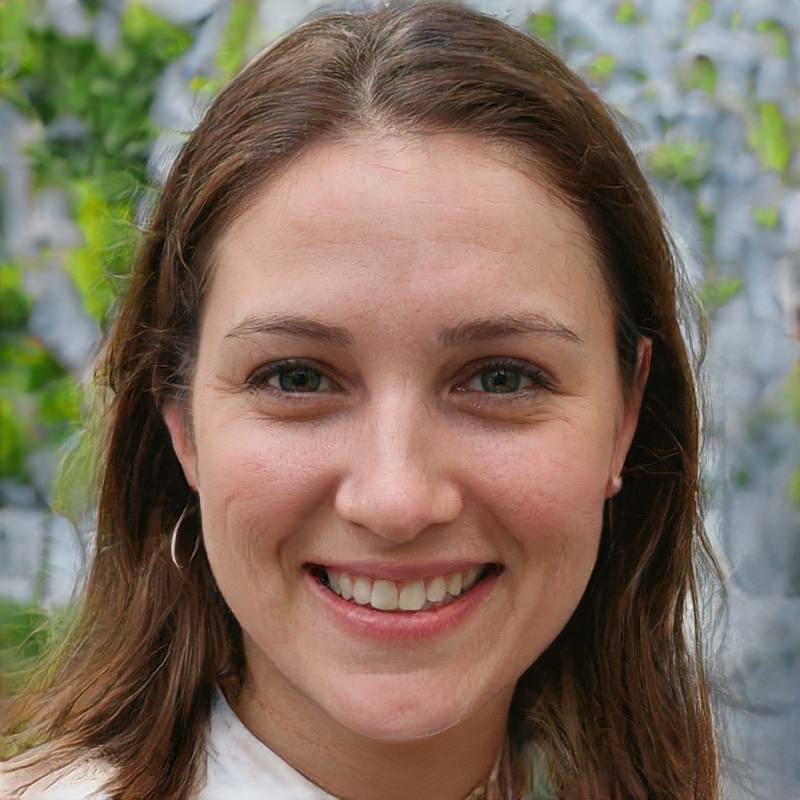 Whether you are running a restaurant, food processing business or food storage, one thing that they all have in common is that they each involve the handling and the preparing of raw foods on a regular basis. 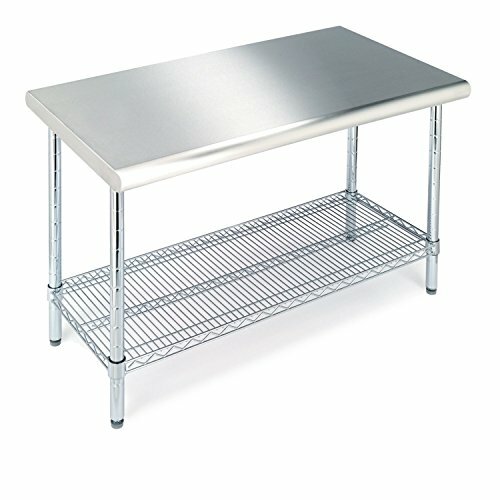 Today, there are a number of different types of surface materials that are used for food service and food preparation tables in restaurants and food processing companies all across the country. We will be talking about four popular ones in this blog post; DuPont™ Corian®, Meganite® Solid Surfaces, Butcher Block Table Tops, and Stainless Steel Table Tops. 1. Corian® by DuPont™ – This solid, non-porous, man-made material is one of the most versatile of all of the types of surfaces used in the making of tables for the foodservice and food preparation industry. It is available in a wide range of colors, including many custom colors to choose from. It is an ultra durable material that is able to withstand excessive temperatures, can easily be refinished in the case of stains and scratches. Corian® has received a high rating for food safety, which includes an NSF/ANSI Standard 51 Certified for food contact. As long as it is cleaned properly there is no concern for the possibility of mold and or mildew from growing on any table with a top made of Corian®. 2. Meganite® Solid Surfaces – This surface is made using acrylic resins to create one of the most durable and versatile solid surfaces in the industry. The non-porous surface gives it the characteristics that earned it an NSF-51 certification and Green Guard Gold certification for its limited VOC levels. Meganite® is highly scratch resistant, which helps to cut down on typical maintenance costs. There is a wide range in colors to choose from, including more than 1000 different colors. 3. Butcher Block Table Tops – Butcher block features sturdy construction, made from a variety of hardwoods including Natural Maple, Hickory, and American Black Walnut. Unlike the previous, man-made products which are non-porous, butcher block tops have substances within the fibers that create an all-natural antimicrobial barrier. This help to provide a good sanitary surface for preparing food. Butcher Block Tops can be purchased in lengths and widths that can easily be put on existing tables to replace worn out tops. 4. 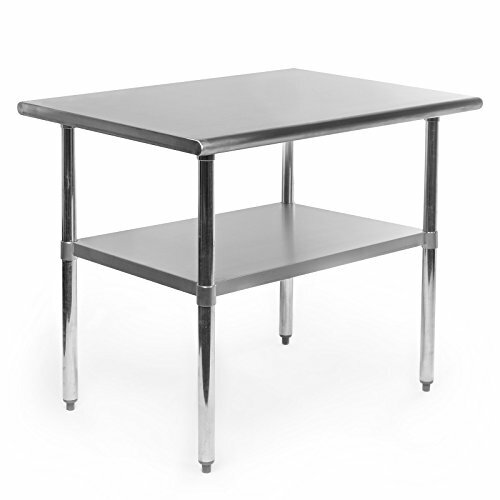 Stainless Steel Table Tops – Stainless steel is one of the most durable of all materials used in making tables and workbenches for the foodservice and food preparation industries. This extremely hard, non-porous surface is easy to clean and has earned a high NSF rating. 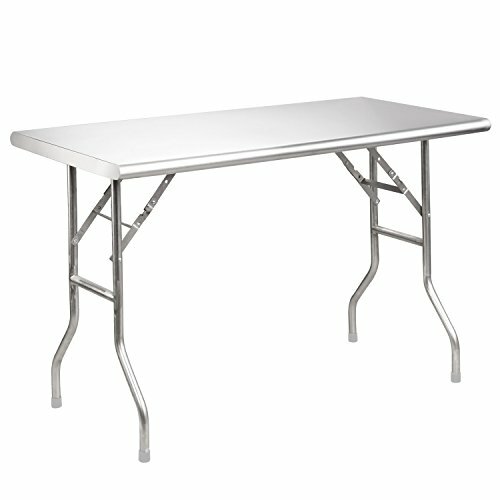 It also adds extra strength to the table which means it can handle more weight. 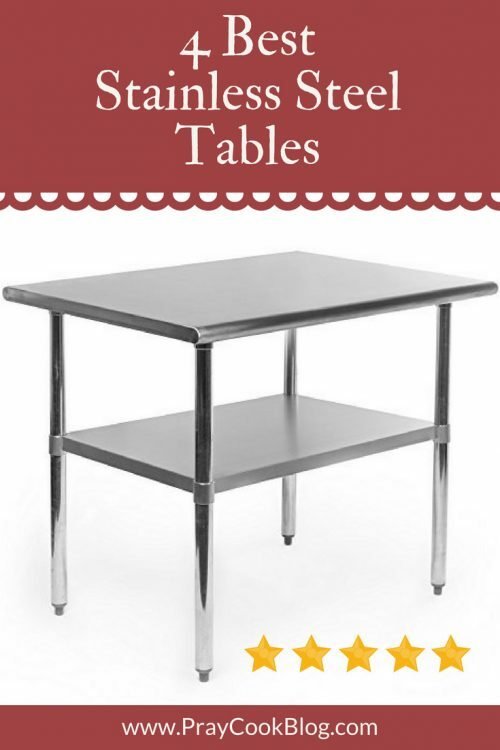 While there are plenty of non-porous materials that are commonly used in making table tops used in food service and food preparation, like the ones mentioned above, stainless steel is by far the most desirable. Not only does it meet or exceed all health and safety standards, but it is also extremely easy to clean and it also looks really good, as well. 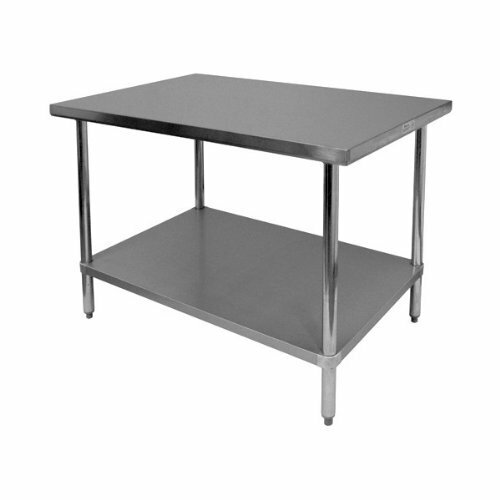 If you take a look at most kitchen areas of your local restaurants or food service companies you are likely to find a whole lot stainless steel work tables, appliances, and shelving. This likely because they are really concerned about the safety of the food they are serving or processing for their customers.